← How to map out the time correctly? 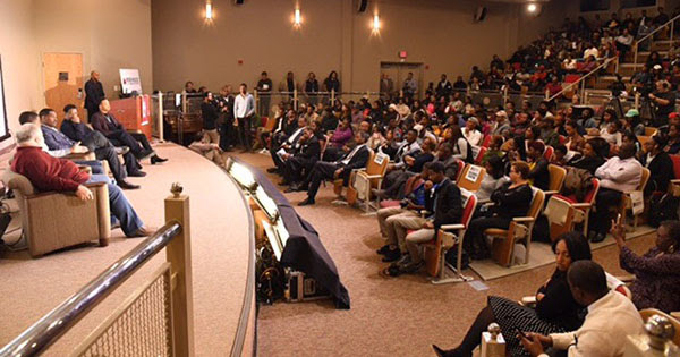 During the weekend of October 27 and 28 hundreds of key Historically Black Colleges and Universities stake holders including entrepreneurs, education technology professionals, students and alumni from around the country descended on the Atlanta University Center to attend the inaugural HBCU Tech Summit at Morehouse College sponsored by NBITLO. The HBCU Tech Summit, whose aim was to connect HBCU presidents, techies and professionals from a vast array of industries assembled in Atlanta at Morehouse College to lead the charge of creating a sustainability model for HBCUs. Founded in 2009, NBITLO America’s premier national organization dedicated to bridging the digital divide, creating equity in the information technology workforce, diversifying the S.T.E.M. pipeline, incubating and equipping innovators with world class inventions and global business ideas. Co-sponsors of the event included Cambridge Labs, Cox Communications, Diverse Solutions Group and Class Updates to name a few. The first ever HBCU Tech Summit included a blend of tech professionals, entrepreneurs, consultants, higher education administrators, college presidents, innovators and startups. The Summit assembled a collection of thought-leaders discuss the challenges facing historically black colleges and universities (HBCUs) and to work towards building a sustainable model for HBCUs largely rooted in data, technology and systems-thinking. The HBCU Tech Summit featured dynamic panel discussions and panelists from companies such as Google, Microsoft, Yelp, NASA and rapidly growing Mobile Ed Tech startup Class Updates. The summit also welcomed key community partners including the Urban League of Greater Atlanta, Alpha Kappa Alpha Sorority, Inc. and their Think HBCU Initiative as well as The Katalyst Group and The RiseNTWK, a group committed to implementing a hybrid model of co-working, innovation spaces and entrepreneurship centers on the campuses of all HBCUs. One of the keynote speakers was Dr. Roslyn Clark Artis, President of Benedict College and the first female President in the College’s 147-year history. During her keynote she emphasized that technology enables us to engage with HBCU students where they are and suggested a practical formula for HBCUs “Student success equals sustainability…” Additionally Clark-Artis insisted that “HBCUs need institutional transformation from the ground up,” which tied directly to the overall event theme – inspiring innovation, encouraging collaboration and igniting entrepreneurship. Dr. Maria Thompson, president of Coppin State University, presented a ground-breaking presentation on Democratizing Data as a model for campus and student success. HBCU Tech Summit Founder Andrew West had high praise for Class Updates who was represented by company President Temanté Leary. “Your contribution as a thought-leader and demo of Class Updates was spectacular! I am looking forward to amplifying you’re App!”, West commented about Class Updates. Class Updates President, Temanté Leary, sat on the Sustainability Modeling panel alongside other thought-leaders to discuss sustainability issues facing HBCUs, possible solutions and action plans. Class Updates hopes HBCUs will be the next major set of major institutions in higher education to use Class Updates mobile communication application which improves the learning environment in terms of teacher-student engagement and overall class efficiency and is expected to become one of the largest ed-tech platforms over the next decade.